Located within the African Great Lakes region in East Africa, Tanzania, officially known as the United Republic of Tanzania, is bordered by Kenya, Uganda, Rwanda, Burundi, Zambia, Malawi, Mozambique, and the Democratic Republic of the Congo. Though this country is one of the poorest countries in terms of economy, it is one of the richest countries in terms of tourism. Tanazania is famous for offering an opportunity to have an unforgettable safari experience in all of Africa. Tours to Tanzania safaris are one of the most flocked African Safari tours. This has various awesome parks and reserves that will steal the attention of your eyes, as the eyes will fall on them. Arusha, Tarangire National Park, Lake Manyara National Park, Serengeti National Park, Ngorongoro Conservation Area, and Ngorongoro Crater are the places that you cannot afford to miss. Tanzania has much more than these places, but if you are planning for a seven day Tanzania safari tour, and searching for various African safari vacation packages to choose the best package according to your budget and requirements, these are the places that you cannot miss at any cost. You should start with Arusha town tour. This will give you a great opportunity to explore the beauty of Tanazania. Natural History Museum and Arusha Local Market are the two main attractions of this town that you must see. 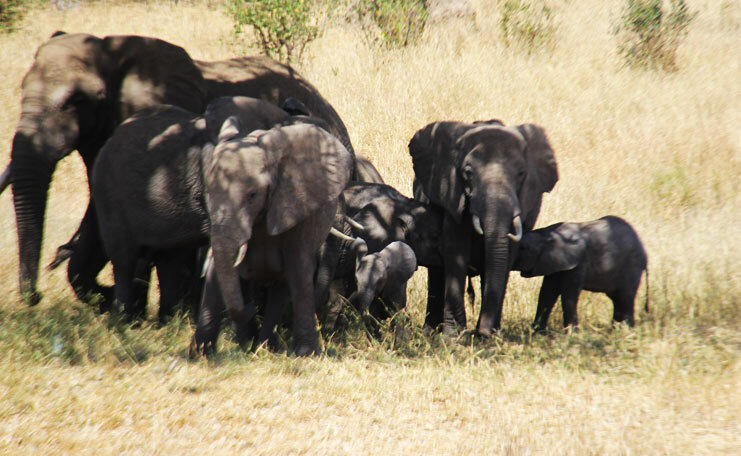 On day two of your tour, you can visit Tarangire National Park, which is believed to be one of the most popular African Safari tours. The best time to visit this park is from July to September when the animals gather along the river. In course of the dry season, you can see the highest concentrations of migratory wildlife. The baobab trees are one of the most noticeable highlights of the park. You can see more than 300 species of birds here, and just because of this, it is considered to be the best place for bird watching. Visit Lake Manyara National Park on the third day of your visit. This national park comprises forest, woodland, swamps, and grasslands. The two-third portion of the park is water and is known as Lake Manyara, which hosts thousands of flamingoes. Elephants, able-to-climb-on-tree lions, and hippos are the creatures in the park that mesmerize everyone. In addition to watching these creatures obsessively, tourists enjoy activities like mountain bike tours, wildlife drives, and canoeing. For Serengeti National Park, you will need two days –day four and five, as exploring this park in one day would not be a possible since it is the largest national park in Tanazania. This park attracts thousands of tourists each year. December and June are said to be the best months to visit this national park. Large herds of lion, leopard, hyena, cheetah, bat eared fox, jackal, and hunting dog are also found in Serengeti National Park. You can happen to see over 500 species of birds in the park. Existed between Lake Manyara and the Serengeti, the Ngorongoro Conservation Area houses the famous volcanic Ngorongoro Crater and one of Tanzania’s most popular wildlife viewing areas. This has been recognized as the most important archeological site, as from here, skull and bone fragments of early humans have been found that provide critical information about early mankind. This would be the best choice for your six day of the day. For the last day of African safari tours, Ngorongoro Crater, the largest intact volcanic caldera in the world, created when a large volcano exploded and collapsed on itself two to three million years ago, would be the best place to visit. This comprises a place in Tanzania with breathtaking setting to see the big five. UNESCO declared this to be the world heritage site in 1978. African Safari Cost – To discuss in detail about 7 day African Safari tour and African safari vacation packages (African Safari Cost), reach us, we will provide you the best suggestion according to your requirements. 2 people Price cost US$ 2,066 per person. 4 people Price cost US$ 1,635 per person. 6 people Price cost US$ 1,491 per person. 2 people Price cost US$ 2,699 per person. 4 people Price cost US$ 2,268 per person. 6 people Price cost US$ 2,125 per person.